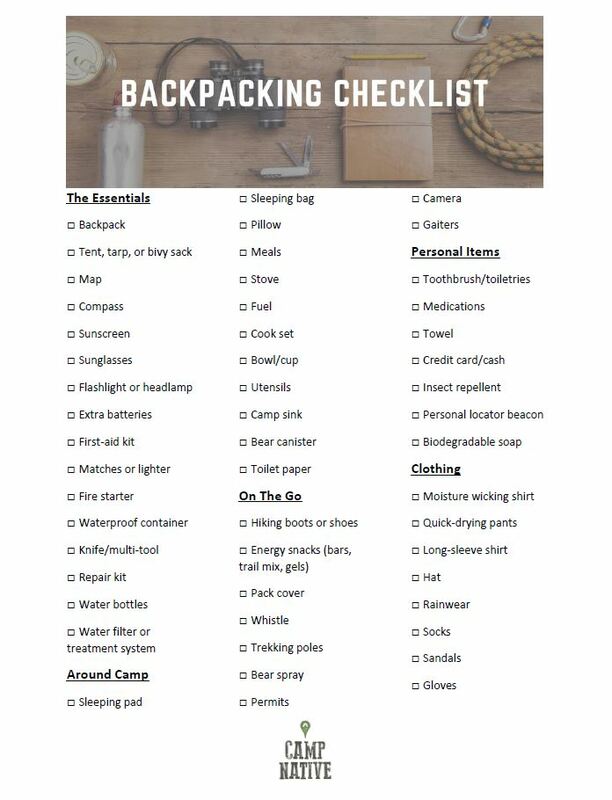 Whether you’re preparing for your first backpacking trip or it’s just been awhile since you hit the trail, here’s an easy-to-follow checklist to help you get ready! Depending on your destination, you may not need everything on this list. Be sure to tailor your clothing needs to your environment and check the forecast before heading out. Some items, like sleeping pads, are comfort items. If you prefer to pack light, leave the luxury items at home! And before you leave, tell someone where you’re going and it’s never a bad idea to leave a note with your plans in the car! Want to print this off? Download a copy here. Searching for your next adventure destination? Explore campgrounds on Camp Native and easily reserve your next site online!